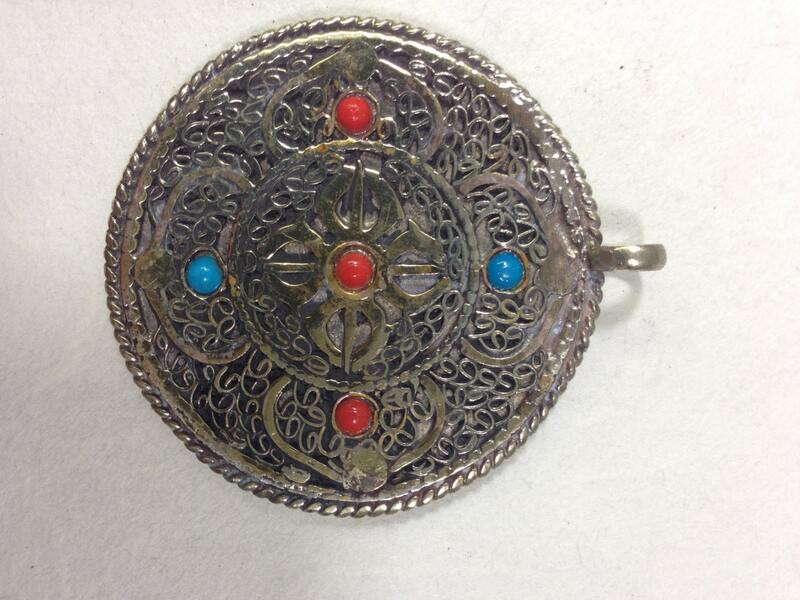 This is a Tibetan Etched Silver Round Mandala Pendant with Coral and Turquoise. These pendants are very Spiritual and part of the Buddhist Religion. A mandala is a sacred geometric figure that represents the universe. When completed, a mandala becomes a sacred area that serves as a receptacle for deities and a collection point of universal forces. By mentally entering a mandala and proceeding to its center, a person is symbolically guided through the cosmos to the essence of reality. By constructing a mandala, a monk ritually participates in the Buddha's teachings. These Round Silver Mandala Pendants would be wonderful in all your spiritual creative jewelry designs. 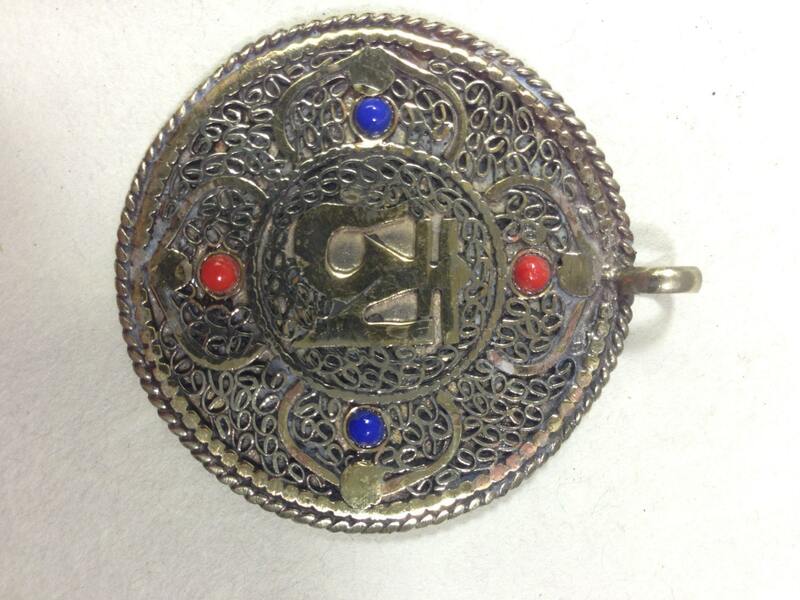 This pendant is a very nice size and has intricate metal work. I am very pleased. They are just lovely.